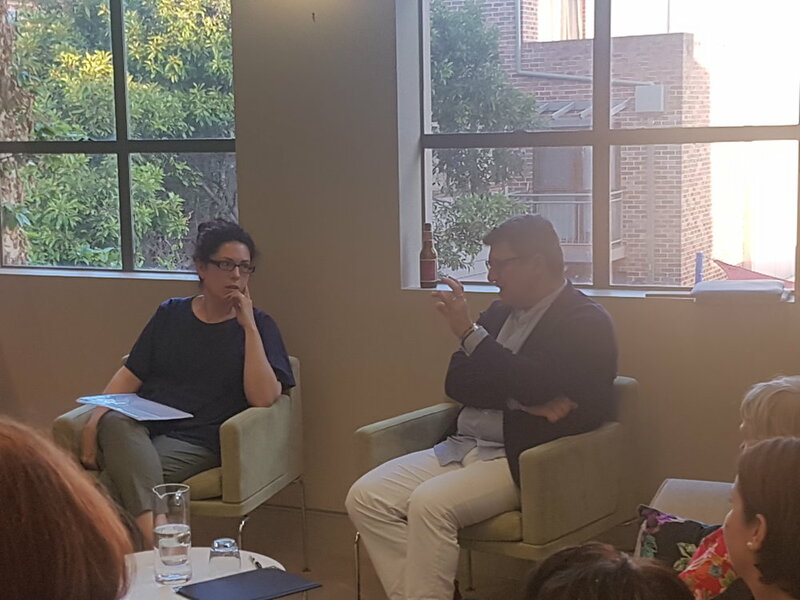 We counted ourselves lucky last night to have Dr Rebecca Huntley present at the fourth and final Leichhardt Luminaries session for this year, talking about her recent book Still Lucky and sharing her insights into contemporary Australian society. Highly engaged by Dr Huntley’s anecdotes and memories from 12 years’ worth of both qualitative and quantitative research, much of which was gathered by going into people’s house and having a conversation and has been the foundation for her qualitative research for her book. Dr Huntley spoke about a wide variety of issues topical for Australian including current politics, asylum seekers, migration, and marriage equality, which sparked a lot of conversations in the room. On the topic of the postal vote, Dr Huntley shared some of her comments made to corporate Australia the day before in Melbourne emphasising their role in social change. We are seeing it now in the public sphere with the support of corporates and business for the Yes! Campaign. This should be the case for other social issues as well including immigration. “We shouldn’t forget the economic progress they (migrants, refugees and asylum seekers) contribute to this country and the opportunities they bring”, said Dr Huntley addressing views on immigration in Australia. As a leading research agency into multicultural and Aboriginal and Torres Strait Islander communities we all walked out in awe at the way Dr Huntley, one person who can truly know what average Australians think, was able to express these opinions and views in such a matter of fact, non-judgemental way. Dr Rebecca Huntley is an Australian social researcher and expert on social trends. She is an author and researcher with degrees in law, a first-class degree in film studies and a PhD in Gender Studies. She has been a regular columnist for Business Weekly Review, a feature writer for Vogue and a radio presenter for ABC's RN. She regularly features on radio and TV.